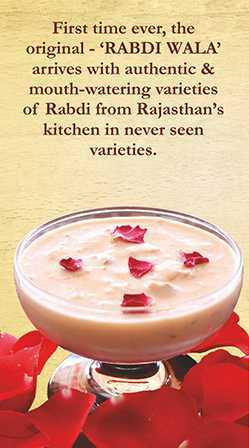 The authentic taste of Rajasthani Rabdi is now available in Mumbai as well. 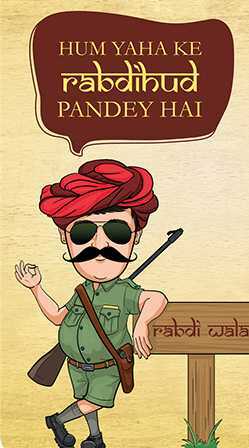 Rabdi Wala brings to you wholesome Rajasthani cuisines that are sure to win your heart and pamper your taste buds. Try out our extensive dessert menu consisting of a wide range of Rabdis, Gola and Kulfis to please your sweet tooth or have a belly filling, healthy and delectable meal from our 'Taste of Rajasthan' section. In Mumbai, the meal is never complete without a sumptuous plate of Pav Bhaji. Keeping this is mind, we also have many piquant flavors of Pav Bhaji to choose from.